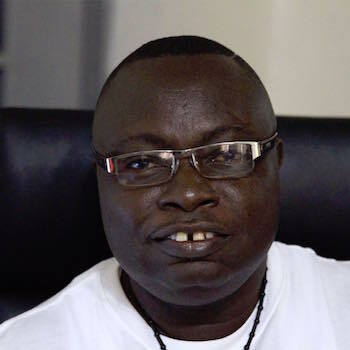 Catholic Priest Peter Konteh devoted all his efforts to educating and caring for his fellow citizens of Sierra Leone when the Ebola virus devastated the country in 2014. Konteh, at great risk to his own life, traveled the country to personally assist families. He also solicited support from organizations around the world, speaking to both the United States Senate and the British Parliament. In addition, Konteh has worked to halt the practice of female genital mutilation (FGM) and to build schools and educate the impoverished youth of Sierra Leone. In May 2014, the Ebola virus hit the country of Sierra Leone—hard. The World Health Organization estimates that over 10,000 of the country’s residents have died from the virus. And the number might be substantially higher were it not for the courage and efforts of Peter Konteh. Peter Konteh was ordained as a Catholic priest in 1996, at the peak of the Sierra Leone civil war. Immediately after his ordination he entered into active work and has served in several African countries. He was originally concerned with the issue of female genital mutilation (FGM), something that the vast majority of women in Sierra Leone—including Konteh’s sister—have endured. So Konteh solicited the help of the Desert Flower Foundation, and together they developed a project for Sierra Leone—a project in which sponsors from all over the world support girls in Africa and parents pledge not to mutilate their daughters. But then, in 2014, came Ebola. It was devastating. Konteh and people he led from his archdiocese, risking their lives, worked diligently to spread information about the infection to the mostly illiterate population. Konteh did more than travel around Sierra Leone. He also reported to the United States Senate and to the British Parliament, giving them updates on the virus and asking for their support. Indeed, Konteh did get support, both financial and educational, from many international organizations. And by the end of 2015, the scourge of the Ebola virus had diminished considerably. Konteh continues to help his fellow Sierra Leone citizens. He is the director of Caritas, a Catholic relief organization that builds schools, hospitals, and health centers, and that provides assistance to Ebola survivors. And Konteh still advocates for the children of Sierra Leone to receive a quality education. Peter Konteh is a Giraffe Hero, risking his own life to save the lives of others and steadfastly working to change the lives of all his people for the better.